Educationalists believe in the benefits of curriculum based internet use. The purpose of the Internet Acceptable Use Policy is to ensure that pupils will benefit from learning opportunities offered by the school’s internet resources and will be protected from harmful and illegal use of the internet. S.N. Chóbh Chionn tSáile Child Protection Guidelines and Procedures will employ a number of strategies to maximise learning opportunities and reduce risks associated with the internet. Internet will be used for education purposes only. Pupils will seek permission before entering any internet site, unless previously approved by a teacher. Filtering software will be used to minimise the risk of exposure to inappropriate material. Pupils will receive training in the area of internet safety. Pupils will be taught to evaluate the content of internet sites. Teachers will be made aware of internet safety issues. Uploading and downloading of non-approved material is banned. Pupils will observe good ‘netiquette’ (etiquette on the internet) at all times and will not undertake any action that may bring a school into disrepute ‘You Tube’ (and similar sites) can be accessed only under the supervision and direction of the teacher. Email will be used for educational purposes only. Pupils will not send or receive any material that is illegal, obscene and defamatory or that is intended to annoy or intimidate another person. Pupils will not reveal their own or other people’s personal details e.g. addresses, telephone numbers, or pictures via school email. Personal pupil information, home addresses and contact details will not be published on the school website. S.N. 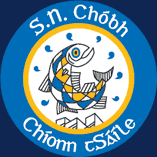 Chóbh Chionn tSáile Child Protection Guidelines and Procedures will undertake an education programme to educate children on the safe, responsible use of the internet in order to become ‘internet wise’. SAFT Internet Safety Awareness Education Programme and exemplars. S.N. Chóbh Chionn tSáile Child Protection Guidelines and Procedures has filtering software. The access to websites from all school computers is monitored and regularly reviewed by the NCCA. Websites are only allowed through following a verification of the suitability.